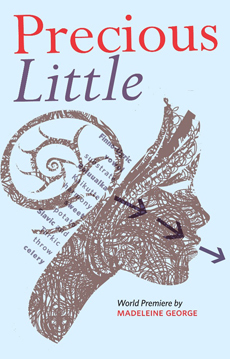 In Precious Little, Brodie, a forty-something linguist, learns that the child she’s carrying has a genetic abnormality. Through her relationships with several unlikely confidants — her much younger girlfriend, an elderly speaker of a dying language she’s studying, and a gorilla at the zoo — Brodie struggles to decide whether or not to keep the baby who may or may not ever learn how to speak. Playwright Madeleine George weaves humor, irony and memorable characters into a story that explores the beauty and limits of language. Broadway: Superior Donuts; Lincoln Center Theatre: The Clean House. Chicago: productions with Steppenwolf, Goodman, Victory Gardens, Lookingglass, Shaw Chicago, A Red Orchid, Court, Latino Chicago, Teatro Vista, Remains, Next, New Criminals, Piven. New York: En Garde Arts, La Mama. Los Angeles: Actor’s Gang, Padua Playwrights Ensemble. Premieres of four plays written and directed by Maria Irene Fornes. Movies with Judd Apatow, Robert Altman, Stephen Frears, Michael Apted, Joel Schumacher, among others. Dedicated to Agnes Dodds and Morton Frank. Meighan Gerachis has been a company member since 1996. She has performed in Ten Tiny Fingers, Nine Tiny Toes; WRENS; My Simple City; Mommapalooza! ; The Factory Girls; Indulgences in the Louisville Harem; Elliot, A Soldier’s Fugue; and RTE’S Jeff-nominated world-premiere production of The Walls. Meighan was also seen at the Chicago Humanities Festival in (fellow ensemble member) Lisa Dillman’s Shady Meadows. She filmed What’s Wrong with Virginia, written and directed by Oscar-winner Dustin Lance Black. Meighan is currently performing in the RTE world-premiere of Madeleine George’s Precious Little at the Storefront Theatre. Kathy Logelin joined Rivendell Theatre Ensemble in the spring of 2010 after appearing in the Rivendell’s 2009 remount of These Shining Lives. Recent Rivendell credits include the world premiere of Precious Little, as well as the These Shining Lives remount in Ottawa, IL. Kathy has been an actor in Chicago since 1998. Other Chicago credits include Betrayal with Oak Park Festival Theatre; The Last Days of Judas Iscariot with The Gift Theatre and Victory Gardens; Cadillac with Chicago Dramatists; and Widowers’ Houses with Timeline Theatre Co. Regionally Kathy has done five seasons with the Illinois Shakespeare Festival including The Three Musketeers, The Merry Wives of Windsor, Romeo and Juliet, The Taming of the Shrew, and All’s Well That Ends Well, as well as Mauritius at TheatreSquared in Fayetteville, Arkansas, and Macbeth at the Notre Dame Shakespeare Festival. Kathy is also a dialect coach and recently worked with Remy Bumppo, Mary-Arrchie, Strawdog and Idle Muse Theatre Co. Kathy holds a B.S. in Acting from Illinois State University. Madeleine George’s plays have been produced and developed by 13P, Clubbed Thumb, Soho Rep, Playwrights Horizons, About Face Theatre, Two River Theater, New York Theatre Workshop, The Playwrights’ Center/Guthrie Theater, and the O’Neill Playwrights Conference, among other places. Precious Little, first developed in the Clubbed Thumb Summerworks series, will also be produced by Cornell University’s Schwartz Center for the Performing Arts in Ithaca and City Theatre in Pittsburgh this spring. Madeleine has received a MacDowell Fellowship, the Princess Grace Playwriting Award, a Manhattan Theatre Club Playwriting Fellowship, and the Jane Chambers Award. She is a resident playwright at New Dramatists, an alum of the Soho Rep Writer/Director lab and the Lark Playwrights’ Workshop, and a founding member of the Obie Award-winning playwrights’ collective 13P (Thirteen Playwrights, Inc.). She lives in Brooklyn. Tara Mallen is an actor, director, and the Producing Artistic Director at Rivendell Theatre Ensemble. Most recently she was seen on stage in Rivendell Theatre Ensemble’s Jeff Nominated world premiere production of Rasheeda Speaking. Prior to that she appeared in Steppenwolf’s production of How Long Will I Cry: Stories of Youth Violence written by Chicago Journalist Miles Harvey. She performed in the Midwest premiere of Catherine Trieschmann’s Crooked, and in the Steppenwolf Garage as part of the ensemble in Rivendell’s World Premiere, Jeff nominated production of The Walls. Tara played Jolene Palmer, inspired by the true-life story of Aileen Wuornos, in Rivendell’s award winning production of Self Defense, or the Death of Some Salesmen also at Steppenwolf Garage. (Both productions part of Steppenwolf Theatre Company’s Visiting Theater Initiative). She received a Joseph Jefferson award for Best Supporting Actress for her portrayal of Gwenyth in WRENS as part of that production’s Jeff-winning ensemble. She was nominated the following year for Best Actress in a Principal Role for her work in My Simple City. Her screen credits include Steven Soderbergh’s film Contagion opposite Kate Winslet , the Starz series Boss starring Kelsey Grammer, the NBC pilot of Chicago Fire, the CBS/Sony Pictures pilot Doubt, the NBC series Chicago P.D. and the new Netflix series Sense8 directed by Lana and Andy Wachowski. With Rivendell, Tara conceived and directed the world premiere of Women At War, directed the Jeff nominated Midwest premieres of The Electric Baby, 26 Miles (in co-production with Teatro Vista); Fighting Words; Psalms of a Questionable Nature; the co-production of Elliot, a Soldier’s Fugue with Stageworks/Hudson in Hudson, NY; and the brief and brilliant Shady Meadows by Lisa Dillman as part of the 2007 Chicago Humanities Festival. Mary Cross is a founding member of Rivendell Theatre Ensemble. She played Meg in Rivendell’s original production of WRENS which won the Joseph Jefferson Award for Best Ensemble and Best New Work and then went on to portray Gwyneth in the 2012 remount of the show (Joseph Jefferson nomination for best ensemble). She was nominated for a Jeff award for Best Actress for her portrayal of Ruth O’Hare in A Mislaid Heaven with Famous Door Theatre. Some of the shows Mary appeared in while living in NYC are: Ross Mueller’s Pinter’s Explanation, Courtney Baron’s Not Our Last Hurrah, Trista Baldwin’s Terra Australis Incognito, Beau Willimon’s The Patient and Blair Singer’s Meg’s New Friend. She is the female lead in the indie feature film Fools, which will be released later this year. She played the role of Alice in Courtney Baron’s Midwest premiere of Eat Your Heart Out at Rivendell in spring of 2014 and most recently appeared as Airman Leigh Matthews in Rivendell’s world premiere of Women at War. Julieanne Ehre was recently the NEA/TCG Fellow at the Goodman Theatre, where she directed staged readings of Deserts by Hugo Alfredo Hinojosa Díaz, Reykjavik by Richard Rhodes and Folk Song by Laura Jacqmin. 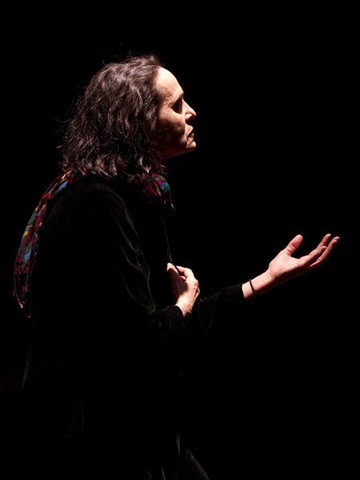 Julieanne served as Artistic Director of Greasy Joan & Co. for five years, where she directed and produced premiere adaptations of classic plays including Macbeth, Antigone, Lady from the Sea and Sueno, among others. She has also directed productions and readings for Chicago Dramatists Workshop, Lincoln Center Theater’s Directors Lab, Red Tape Theatre, Remy Bumppo Theatre, Rivendell Theatre Ensemble, Silk Road Theatre Project, and Victory Gardens. Julieanne is an MFA Directing graduate from Northwestern University and served as an assistant director to Mary Zimmerman and Tina Landau. Bernadette is excited to work with Rivendell Theatre Ensemble this season as their intern, having joined them this past fall as the assistant stage manager on 26 Miles with Teatro Vista. Previous professional credits include stage managing at Door Shakespeare and Fairbanks Shakespeare Theatre. Bernadette graduated with a B.A. in Theatre and Theology from Saint Mary’s University of Minnesota where her graduation project was directing an original production of Caryl Churchill’s Seven Jewish Children. She is currently pursuing a dual M.A. 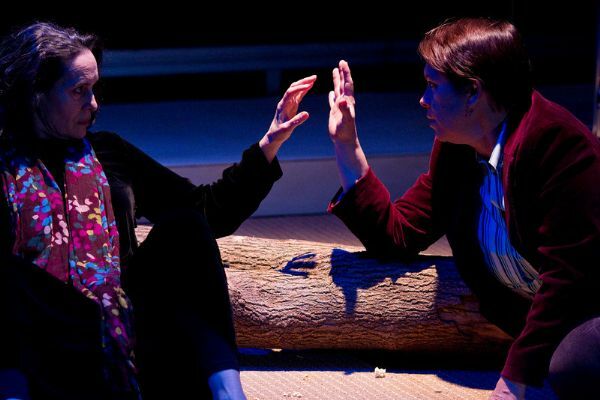 in Women’s Studies and Theology from Loyola University Chicago and working on original work with Fork in the Road Theatre for the Chicago Fringe Festival 2011. Chicago projects include: scenery for A Brief History of Helen of Troy and The Hollowlands (Steep Theatre), A Separate Peace (Steppenwolf for Young Adults), K. (Hypocrites), Somebody Loves You Mr. Hatch and Mrs.Caliban (Lifeline Theatre), and Ghosts of Treasure Island (Adventure Stage Chicago); costumes for The Rose Tattoo (University of Chicago), Harper Regan (Steep Theatre), boom (Next Theatre); production design for Acis & Galatea (Chicago Cultural Center and Millennium Park Stage), XYZ puppetry workshop of Tiny Rooms (About Face), and co-design for B-Lo Niagara (Building Stage’s Objects in Motion). International work includes: La Femme des Sables (companie Unikaji in Paris and Zagreb) and Stones/Air (Barossa International Sculpture Park in Southern Australia). Chelsea received her MFA in Stage Design from Northwestern University. Her portfolio can be seen at chelseamwarren.carbonmade.com and her puppetblog at blogminic.blogspot.com. Janice Pytel has been living and working in the Chicago area since she moved here to attend Lake Forest College in 1989. She also attended Northwestern University from 1993-1996, finally earning her MFA in costume design in 1999. Over the years she has worked with dozens of theatre companies in various capacities, including brief stints as a stage manager and in a box office. Janice was the costume shop manager for Steppenwolf Theatre from 1996-2002, and also worked briefly at the Court Theatre while she was transitioning into full-time freelance costume design. She’s been living the freelance dream (sometimes a nightmare) since 2004. For Rivendell Theatre Ensemble she has designed costumes for Falling: A Wake, Precious Little, Psalms of a Questionable Nature and Mary’s Wedding. Additional costume design credits include: Broadway: 33 Variations; I Am My Own Wife. Chicago: The Long Red Road (Goodman Theatre); The Seafarer, Sonia Flew, The Last of the Boys, The Pain and the Itch, and The Drawer Boy (Steppenwolf Theatre); The Caretaker, The Detective’s Wife, A Streetcar Named Desire, and Picnic (Writers’ Theatre); Our Town (Lookingglass Theatre Company); Fences and Who’s Afraid of Virginia Woolf? (Court Theatre); Pulp (About Face Theatre). Regional: The Farnsworth Invention (Alley Theatre); Winesburg, Ohio (Kansas City Rep); The Glass Menagerie (Kansas City Rep.); 33 Variations (Arena Stage and La Jolla Playhouse); Lombardi: the Only Thing (Madison Rep.); Rembrandt’s Gift (Madison Rep.); Agnes of God (Indiana Rep.). Los Angeles: The Seafarer (Geffen Playhouse). Multi Media: Catherine Sullivan’s Triangle of Need (Walker Art Center, Vizcaya Musuem and Gardens, Metro Pictures Gallery). Janice has designed costumes for over a dozen world-premieres, and as a result has become interested in new play development. She is very excited to be one of the newest members of Rivendell Theatre Ensemble and to embark on this new phase in her career. Christopher Kriz has previously worked with Rivendell Theatre Ensemble designing The Walls and recently creating an installation for The Trojan Women Project. Current Chicago credits include Eclipsed (Northlight Theatre), This (Theatre Wit), Dental Society Midwinter Meeting (16th Street Theatre), Madagascar (Next Theatre), Dead Pile (XIII Pocket), Shining City (Redtwist Theatre) and Pullman,Wa/Church (Red Tape Theatre). Recent credits include the national tour of America Amerique (Jena Company), Lonesome West (Gift Theatre), Lobby Hero (Redtwist Theatre), The Madness of Edgar Allen Poe (First Folio), Aiming For Sainthood (Victory Gardens), Thieves Like Us (House Theatre), The Invasion Of Skokie (Chicago Dramatists), Baal (TUTA), The Hiding Place (Provision Theatre), Master Harold and The Boys and All My Sons (TimeLine Theatre). Upcoming productions include The Woman In Black (First Folio) and The Conquest of the South Pole (Strawdog Theatre) . To learn more of his work, please visit www.christopherkriz.com. Pat Fries is perhaps the most handsome Rivendell Ensemble Member. Pat has production-managed the RTE productions of These Shining Lives, The Walls, Mary’s Wedding, and 26 Miles. Previous credits include The UN Inspector, Dying City, Boom, End Days, War With The Newts, The Piano Teacher, and Madagascar (Next Theatre); Generic Latina 2010 and Lunatic(a)s (Teatro Luna); and Welcome Yule! 2009 and 2010 (Chicago Symphony Orchestra). Special Thanks to the following amazing individuals who helped make this production possible: Chris Surdenik; Lorna & Webber Neal; James Juliano; Mindy Berkson & Lotus Blossom Consulting; Sonia Quiroz, Jackie Meyers-Thompson and the Reproductive Genetics Institute; Marybeth Johnson, Maureen Leahy, and the Lincoln Park Zoo; Claire Geall Sutton; Tanya Palmer; Adam Belcuore; Meredith Matthews; Maria Striar; Hal Brooks; Randy Danson; Emily Ackerman; and Kelly McCreary. And an extra-special, heartfelt shout-out to the amazing, gifted and generous Jim Moore, Nate Brandt, Maggy Fouche, Bridget Dougherty and the simply phenomenal staff at the Department of Cultural Affairs Storefront Theater. Thanks so much for being such gracious hosts.